Our mission is to help you live your best life through fun, entertaining, and informative media. We show you the simple and easy steps of making, doing and creating, all with the convenience of having the tools and supplies you need delivered right to your door. Squeeze an orange peel and bask in the calming fragrance of citrus! A beautiful and relaxing aromatherapy scent that can now be captured in our citrus soap. Fresh, invigorating and restorative. Those are the three words you can expect from the experience of this wonderful citrus soap. What's better than celebrating Easter morning with a Maximum Living Easter Bunny Box cake? It’s easy to make, and kids will love waking up to this Easter Bunny! For some more family fun, kids can help make and decorate it. What's better during this festive time of year than adding to your Easter Celebrations, the joy of making the Maximum Living Easter Bunny Box cake? Doing it with friends and family! They won't believe how cute and delicious this culinary centerpiece is! You're never too young or too old to get candy and surprises in an Easter basket this time of year, but how about a twist on an old tradition. Maximum Living Mediterranean Pesto Shrimp Pasta is an amazing dish that’s full of flavor, and best of all… You can whip up in no time. If you are still using foam shaving cream from a can, it’s probably time to let go. It dries out your skin and doesn’t do a lot to protect from irritation. Coconut oil has a lot of uses for skincare, but did you know it can be a key ingredient in an easy DIY shaving cream? Salsas don't all have to be in the spicy, savory southwest style. It's always fun to switch it up with a fresh fruit salsa that's tangy and sweet. Whether you serve with tortilla chips, put it on your tacos, or just prepare it as a side dish to your entree, this is a versatile dish that everyone will love! A sweet citrus refreshment that looks as good as it tastes. Homemade Granitas are really simple to make, and once you try it, you’ll be wondering how you've lasted this long without! Flowers in a vase are always nice, but mixing it up to add a little more interest always makes for a great display, as well as great conversation. Whether you need a centerpiece for a table, or a thoughtful gift for a friend, you can count on Maximum Living Flowers in a Box to bring a smile every time! Fresh fruit that’s been kissed by the sun is one of nature's sweetest gifts. A healthy dessert, snack, or side dish to take advantage of during the Spring and Summer months when local fruit is at its best. It’s easy to prepare, and the flavors are oh-so-good, especially paired with a meal off the grill! South America has given the world yet another amazing culinary experience, Choripanes! Each country may do it a bit differently, but one thing is for sure... The taste is as wonderful and the culture! Homemade fudge is a great gift anytime of year, whether it’s Valentine’s Day, a birthday, or just to say thanks! It’s easy to make and easy to save, making it the perfect gift that keeps on giving! Whether you are looking for a boost to start the morning, or a refreshing respite from the afternoon heat, our Maximum Living Strawberry Smoothie is just the thing you need! When it comes to desserts on a warm spring afternoon, nothing beats the cool, light and fresh deliciousness of strawberry shortcake! Turn old, empty, glass bottles into an intriguing collection of herb-infused oils for cooking, and is a great kitchen decoration as well. Candied flowers are great to use as garnish for deserts such as ice creams, sorbets and cakes! Pho (pronounced "FUH") is a Vietnamese dish consisting of rice noodles, broth, and whatever else you want to add, such as vegetables and herbs, and maybe a protein like chicken, pork, beef or shrimp. Ditch the chicken noodle soup for something a lot more exciting, both visually and in flavor. This sweet treat is easy to make, and great alternative to a bowl of vanilla ice cream. The Maximum Living Peach Melba is a perfect final course for a stay-at-home dinner date. There’s no better way to relax! Spring is here, and there is a lot to do in the garden and around the yard, especially in areas where cold snaps are no longer a threat to your plants. Your spring flowers are beginning to blossom into an explosion of vibrant colors, all the while, your various crops need to be sown or tended to for a successful harvest later in the year. Recipe for Maximum Living Grilled Beef Tenderloin using ingredients found at your local Costco warehouse. Recipe for Maximum Living Beef Tenderloin using ingredients found at your local Costco warehouse. Our Dairy-Free Chocolate Mousse is so rich, chocolatey, creamy and good, we promise you won’t miss that milk! 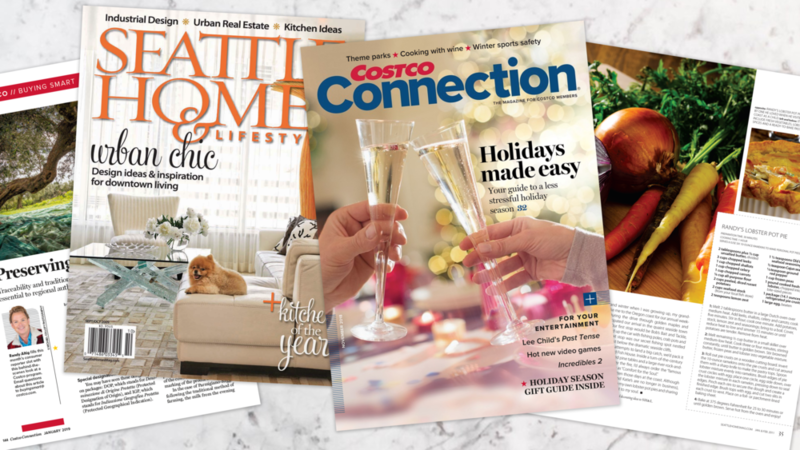 Maximum Living is working with Costco to give you tips on how to ring in the new year with style! Dates are often called “Nature’s Candy”, and our stuffed dates are the perfect combination of sweet & savory. Bold yet delicate, Maximum Living Grilled Rosemary Scallop Prosciutto Skewers are the perfect appetizer for any cocktail party. Served with a young Merlot to round out the flavor you’ll be wishing these appetizers would turn into an entrée! Join us as we take you on a trip down south of the border with Maximum Living’s Mexican Fiesta! Planning a themed dinner party that everyone will love has never been easier!